See3D is a blaze orange 3D suit that is built with two layers. This suit has the ability to incorporate advanced 3D leaf like patterns to make you invisible to your prey. Key features of this suit are as follows: lightweight, breathable, compact, safety designed blaze orange, large leaf design, snag free design, and a two piece two layer suit. Be seen, safe and invisible. This is the motto for See3D and their revolutionary design. This company has revolutionized hunting with the ability to help contribute to the hundreds of hunting related shoot accidents that happen every year. The suit is built to allow hunters to see each other, and to allow the hunter not to be seen by their animals they are hunting. 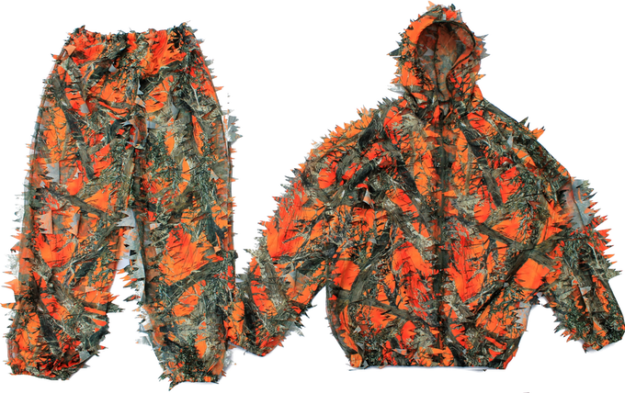 This orange camo design has the ability to abide by your states orange to camo ratio rules. And by doing this the camo allows you to become the most visible and concealed when out in the field. See3D writes, “Deer do not see color like humans, blaze orange is invisible to them. But solid orange is seen as a large solid block. 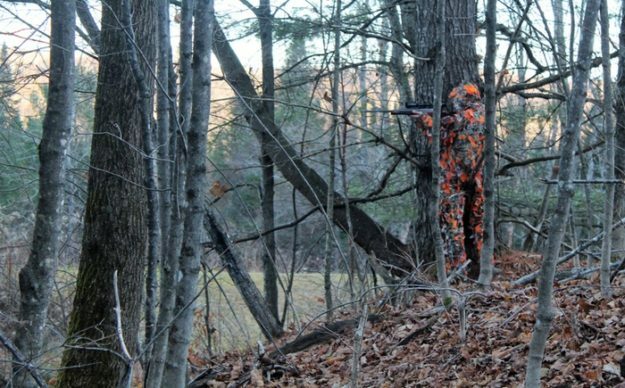 Our patented blaze orange 3D camo suit blends into all terrains making you invisible to deer.” This is a must have for every hunter, especially if you want to return home safe to your friends and family after each and every hunt. To see if your state qualifies click here!